When I was young, I’d wake up at 6 am to watch back to back episodes of Hong Kong Phooey. You’ve got to love a cartoon that includes a dog who is skilled in marital arts driving around in a Phooeymobile that could transform into whatever was needed by using the “bong of the gong”. I still love cartoons today and I’ll watch them for hours with my kids. Sometimes I’ll be watching an older episode of Scooby Doo when Kim will come into the room and I have to act like I can’t find the Tivo remote in order to change the channel. Near the end of nearly every episode, Fred will devise a plan that requires Shaggy and Scooby to bait a monster into falling into a convoluted trap of sorts. Both Shaggy and Scooby shake their heads and say, “NO WAY!” until Fred, Daphne or Velma offers up some Scooby Snacks. And the same thing works for kids. I’m a bit embarrassed to admit that I’ve successfully bribed my kids to clean every room in the house for 2 Tic Tacs. I didn’t grow up with this HBO produced cartoon, but it’s my favorite of those our kids watch. The animation and the music are fantastic. But what I enjoy most is how Harold uses his crayon and wild imagination to get himself out of every possible sticky situation. I especially like it when he draws a parachute or a hill to slide down avoiding injury at the last possible second. The ability to think fast matched with a young boy’s amazing imagination make for one excellent cartoon full of lessons. Wouldn’t it be cool to have a purple crayon of your own? Based on the adventures of a bald four-year old, Caillou the story falls short of Caillou, the theme song. I’ve memorized every word and will sing along if Kim isn’t around. I love the theme song! 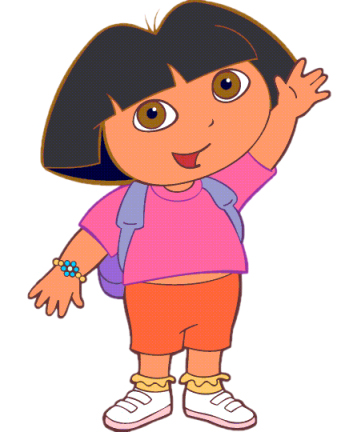 But this is probably the most annoying cartoon my kids have watched. Here’s the plot to nearly every episode: Caillou wakes up and starts whining about everything until it’s time to go to bed which he whines about too. Caillou is in day-care much of the time yet his parents (dad looks just like mom?) magically appear throughout the day to placate his constant tantrums. Caillou has a number of friends which is hard to believe as I can’t imagine a less pleasant kid to have around. “You are getting to be a big boy” NOT! 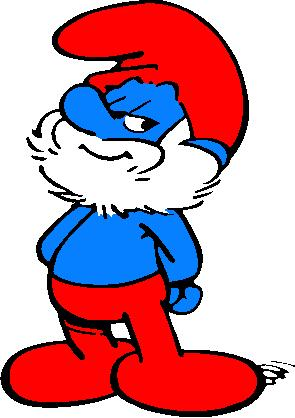 There are so many lessons to be learned by watching the Smurfs, but the one that fits my situation best is how it’s ok for Papa Smurf to be smitten by Smurfette although he appears to be much older. This is true as long as you’re wearing a shirt or jacket. You’d assume it would be the other way around but it’s not. My kids have proven this lesson time and time again as they jump out of the bathtub and run around the house, sporting only a pajama top. Maybe it’s the freedom or lack of confinement that leads to this behavior but if Porky and Donald say it’s OK, who’s to argue? 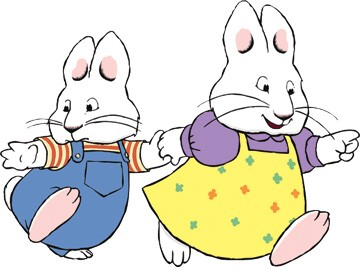 In Max and Ruby, we watch a 4 year old bunny named Max and his 6 year old sister named Ruby go about their day without any parental supervision. Ruby has the wherewithal to perform typical six year old tasks like baking cakes and shopping for Max. Max gets himself into trouble, but this caring sister always helps resolve any conflicts that arise. It appears Max and his chatty sister move in slow motion. It seemingly takes forever for them to walk from the kitchen to the living room. I want to yell, “Show a little HUSTLE! !” each time I watch this show. If there’s a place you gotta get, he can get you there, you bet! He’s the map and he’s just chilling out in the backpack until called upon. And when he is finally called upon he sings one of the most repetitive songs of alltime. But he’s so helpful and excited to help, you’re willing to overlook his zealotry. The map provides good advice for all us guys who refuse to ask for directions and haven’t upgraded to a GPS system.